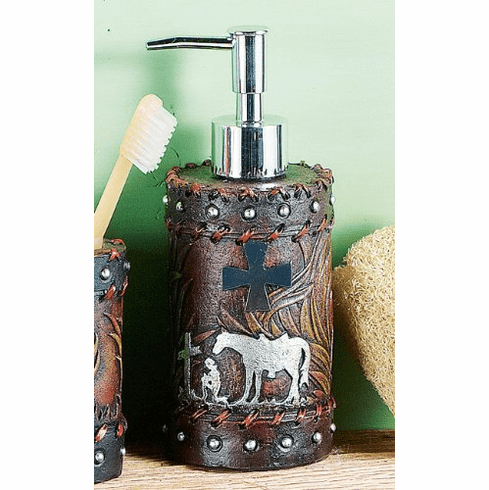 Lacing, studs and metal crosses accent the detailed resin Praying Cowboy Lotion Dispenser depicting a cowboy with head bowed. Measures 3" Dia. x 7?? "H.